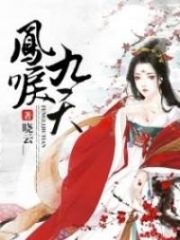 You’re reading novel Chaotic Sword God Chapter 1168: Returning To The Protector Clan (Three) online at LightNovelFree.com. Please use the follow button to get notification about the latest chapter next time when you visit LightNovelFree.com. Use F11 button to read novel in full-screen(PC only). Drop by anytime you want to read free – fast – latest novel. It’s great if you could leave a comment, share your opinion about the new chapters, new novel with others on the internet. We’ll do our best to bring you the finest, latest novel everyday. Enjoy! The shattered s.p.a.ce collapsed piece by piece while the affected area expanded. From afar, it looked like a huge black hole, preventing Rui Jin, Hong Lian, and Hei Yu from getting anywhere close. They avoided it from afar. The path lord of carnal desires vanished behind the collapsed s.p.a.ce while their visibility of his was obstructed. A while later, the s.p.a.ce began to recover slowly and finally closed up completely, but the path lord was nowhere to be seen. “We actually let him escape,” Hong Lian said, exasperated. “Saint Emperors know quite a few abilities. Facing Saint Emperors with our strength is obviously not a question, but killing them will possess a certain difficulty. Though, the human Saint Emperor has suffered a strike from me. My sword impaled his chest, and he won’t be able to make a full recovery from that injury in a short amount of time. We failed to kill him, but we made him pay a price,” Rui Jin said. His voice was also filled with some regret. “We better go find Jian Chen now. He’s left with the people of the protector clans. He might be a part of them, but any connections of family or friends will become insignificant. I’m worried he’ll come in danger. He’s our only hope to return to our clansmen, so we can’t let any accidents happen to him. Also, Hei Yu’s situation is getting worse. He needs to be healed with the origin energy of Radiant Saint Force,” Hong Lian sternly explained the situation. Rui Jin nodded. He immediately left with Hong Lian and Hei Yu, constantly casting secret techniques to search for Jian Chen’s whereabouts. With their departures, the remaining, scattered group of Saint Kings in the air sighed before leaving as well. Many of them were filled with envy, regret, and an unwillingness to give up. Many of them had antic.i.p.ated a day the they would become a Saint Emperor for a very long time. A position they where they would stand at the apex and surpa.s.s the protector clans. Now that they had just narrowly missed the Saints’ Fruit, they found it difficult to accept the arousal of hope and then utter despair. This was because there were not one Saint King who was not interested in the realm of Saint Emperors. Once a Saint King reached Saint Emperor, not only would it gift them with supreme power, their lives would be extended by several thousand years. The region outside the Death Nest became much quieter. Most of the Saint Kings had already left, and only a small number remained. They were unwilling to leave. When Jian Chen and the great elders emerged from the s.p.a.ce Gate, they were no longer in the original s.p.a.ce. They had entered an independent s.p.a.ce that had been split open. It was teeming with the energy of the world and the scenery was charming. It was a beautiful miniature world. Jian Chen glanced around as a gleam of light flashed through his eyes. He had been here before, so he recognized the place with a single glance. It was the s.p.a.ce inhabited by the protector Changyang clan. Changyang Qing Yun had brought them back to the protector clan. The s.p.a.ce was independent of the outside world, and the World Gate would be tightly closed under ordinary circ.u.mstances, isolating it completely. People could only leave through a special method. Now that he was here, Jian Chen did not feel safe at all. Instead, he felt a great sense of danger, far greater than when he had been encircled by the Saint Emperor vengeful spirits. Jian Chen’s heart sank, but he showed none of that on his face. He glanced at the authoritative great elders around him secretly and discovered that they were all feeling joy and excitement from the bottom of their hearts. Jian Chen could even see burning desire and impatience in Changyang Qing Yun’s eyes. At this moment, Changyang Qing Yun looked toward Jian Chen. Just when he wanted to speak, Jian Chen cut him off, “Great elders, I’m very heavily injured, so I need to find a place to heal immediately. Otherwise, it might leave behind injuries.” Jian Chen was currently bathed in blood with nothing else to be seen. Vicious gashes littered his body all over. The gashes were bone-deep and ghastly. Without his Chaotic Body’s toughness, someone else in a similar condition as him would probably have collapsed long ago. “Xiangtian, your wounds are just far too heavy. Come with us to the ancestral hall to heal first. There are medicines there that can help you recover quickly,” Changyang Zu Yunxiao said in concern. “I thank you for your concern, but I have medicine on me. I can deal with my wounds myself.” With that, Jian Chen’s face changed and blood spurted from his mouth. He weakly said, “My condition is rapidly worsening. I can’t delay it any longer. I need to find a place immediately so I can go into seclusion and recover.” With that, Jian Chen flew to a nearby mountain peak in a teetering fas.h.i.+on. He used the Emperor Armament to carve out a cave and disappeared into it. “Yeah, once Xiangtian consumes the Saints’ Fruit, he’ll definitely reach Saint Emperor successfully with his talent,” Changyang Zu Yunxiao faintly smiled. An indescribable pride was plastered on his face and he glanced at Changyang Qing Yun, perhaps out of pure coincidence. The great elders all left together and headed to the central divine hall. Jian Chen stood within the cave with a rather dark expression. Through his presence, he had caught every single detail of the great elders’ conversation and their changes in expression. He knew exactly how they had reacted. “This place is indeed not safe. Changyang Qing Yun’s greed for the Saints’ Fruit is far too strong. The other great elders may not have shown it before, but who knows what they’re thinking,” Jian Chen thought. 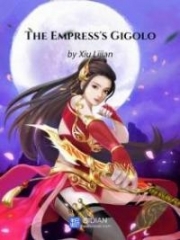 He had suddenly found that all the people of the Changyang clan were no longer reliable at that moment, including Changyang Zu Xiao and Changyang Zu Yunxiao. This was because the Saints’ Fruit was just far too enticing. As the only shortcut to Saint Emperor, any connections, like kins.h.i.+p or friends.h.i.+p, were as fragile as rice paper. 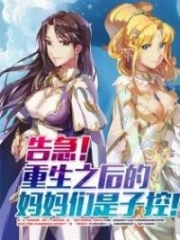 You're reading novel Chaotic Sword God Chapter 1168: Returning To The Protector Clan (Three) online at LightNovelFree.com. You can use the follow function to bookmark your favorite novel ( Only for registered users ). If you find any errors ( broken links, can't load photos, etc.. ), Please let us know so we can fix it as soon as possible. And when you start a conversation or debate about a certain topic with other people, please do not offend them just because you don't like their opinions. You're reading Chaotic Sword God Chapter 1168: Returning To The Protector Clan (Three). This novel has been translated by Updating. Author: Xin Xing Xiao Yao already has 5647 views. Current Time is Apr-24-2019 07:59:27 AM.